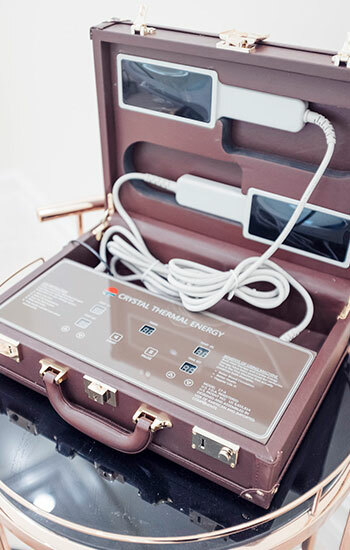 How Crystal Heat Therapy will affect your blood circulation in a positive way. Do your feet and hands often feel ice cold? Do your feet “fall asleep” easily? Tingling fingers and cold feet are a direct result of poor blood circulation. Our safe and soothing Crystal Heat Therapy will get your blood flowing again. This unique, deep-penetrating process delivers oxygen to the cells boosting production, unclogging blood vessels and increasing overall circulation. Heat causes the blood vessels to dilate, which increases the blood flow. By increasing the temperature of the skin/soft tissue, the blood flow increases by vasodilatation. The metabolic rate and the tissue extensibility will also increase. When circulation is hindered it blocks essential nutrients and oxygen to all organs and cells, which could lead to cold feet and other ailments. Contact us today for a FREE consultation, or fill out the form below for more information on how you can achieve better health through better circulation. You have nothing to lose but cold feet and hands.